In 1966 St. Patrick's answered an urgent appeal by Leitrim Board of Health to staff the District Hospital at Mohill, a small market town some eleven miles from Carrick-on-Shannon.Until 1922, Mohill District Hospital, a typical nineteenth century building, had been a Fever Hospital adjacent to the local Workhouse both of which were in charge of Sisters of Mercy. As in the case of Carrick-on-Shannon, these institutions were closed by the native Irish Government and the inmates were transferred to Manorhamilton. The former Fever Hospital was reopened as a District Hospital complete with a small operating theatre and labour ward. Until 1966 this hospital was staffed by lay personnel. By that time the building was in such a state of dilapidation and the amenities had been so neglected that the Department of Health in Dublin condemned the hospital. Furthermore, the Matron, Teresa Moran, was due to be married and, mainly because of the state of the place, it was impossible to find a replacement. The work being done in St. Patrick's Home, Carrick-on-Shannon, was appreciated. Therefore Leitrim County Council approached the community there in the hope of getting a nursing Sister for Mohill. After having visited the District Hospital, Mother Livinus Hunt, Superior in St. Patrick's, considered it to be in such a dreadful condition that she was loathe to ask any of the community to take it on. 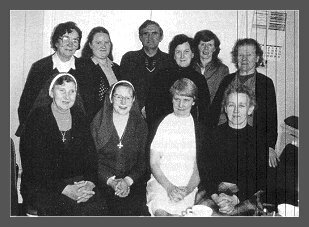 Eventually she did bring up the matter to Sister Concepta McCarthy who volunteered to give her services to Mohill in a missionary spirit, and she set out for her new field of apostolate on 19th June, 1966. With the backing of Mr. Rafter, Secretary to the Board of Managers, the new Matron lost no time in advertising for a cook. Mrs. Philomena Hanley, a woman in her thirties, was engaged as a cook. She was a delightful person and an experienced cook who soon raised the quality of the meals, and the physical condition of the patients improved. Additional nurses were engaged and also more domestic staff. 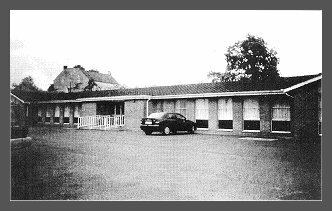 An experiment advocated by Leitrim County Council, to house locally a large family of travellers and to contribute to their being self-sufficient rather than to continue eking out an existence on the streets, was sponsored by keeping one of them, a girl of seventeen, on the hospital domestic staff. The experiment proved satisfactory and when, before the end of the year, the girl in question, Mary, was married, it was the District Hospital that provided and made her trousseau as well as two Irish Barnbracks for the wedding breakfast. Gradually the whole tone and standard of Mohill District Hospital was raised. The local Society of St. Vincent de Paul donated two television sets, which were installed in the upstairs wards. While all these improvements were in progress, there was an unexpected visit from a representative of the Health Department, Dublin. He was impressed by what he saw, and it was proved to him that the Mohill District Hospital was indispensable to the growing local population and that with co-operation could be made a worth- while concern. Extensions, for instance a recreation hall for staff and ambulant patients, were discussed but they did not materialise in Sister Concepta McCarthy's time, as she remained only fifteen months in Mohill. In October 1967, she was transferred to Our lady's Homestead, Nymphsfield, Gloucestershire, a Marist centre for Childcare. Sister Concepta McCarthy brought valuable missionary experience to Mohill. After qualifying as a State Registered Nurse in the Mater Hospital and I obtaining the certificate of the Central Board of Midwives in Our Lady of Lourdes, Drogheda, she had gone to Fiji. There she had worked for five years as the only nurse in Namosi, a primitive and poor mission station extremely difficult to access. The Mohill District Hospital, a grim two-storey building of grey stone surrounded by an acre or so of ground, was on a hill within easy walking distance of the town. Not long after her appointment as Matron, a meeting with Managers and Engineers was convened, and Sister Concepta McCarthy was asked to present a Report on her impressions and requirements. As a result of this a carpenter and a painter were engaged to give the inside of the hospital building a new look. Mary Beirne, Tommy Clyne, Tish Gordon, Mary Taylor Brigid McGovern R.I.P. Front Row (Left to Right): Sr. Bertrand (R.I.P. ), Sr. De-Lellis, Mel Logan, Elizabeth Burke. Mohill's new Matron was Sister Bertrand Wims from St. Patrick's, Carrick-on-Shannon. For two years she was assisted by Sister de Lellis Galligan, a London trained nurse who had been in Mohill since December, 1966. On 1st April, 1969, she was replaced by Sister Marie Gratiae Germaly, also London trained. The following October Sister Cormac McGuinness registered as holiday relief nurse in Mohill. In addition to six lay nurses, a house doctor and a number of visiting physicians, the District Hospital medical staff included in 1972 a visiting physiotherapist and a visiting occupational therapist, both Marist Sisters from St. Patrick's. There is also a domestic staff of about nine. Leitrim County Council have continued to pull their weight. Consequently, improvements have gone on inside and outside the hospital. Wards have been repainted in soft pastel shades, attractive matching curtains have been hung, personal lockers, chairs and new bedding have all been supplied. From their wards patients are able to follow Mass celebrated weekly on a dark oak altar moved into position on the main landing. The old people love their Mass and are proud to say that they now have all that is necessary for it. They are encouraged to relax and to take their meals, weather permitting, on the well-kept lawn in front of the hospital where tarmacadamed paths and flowers help to make the immediate approaches to the building at least a bit more attractive. The thirty to forty patients are for the most part geriatric cases for whom the District Hospital is inadequately equipped. Yet for these people it is home and the staff, with the limited means available, try to create an atmosphere of home, to help them, as far as possible, to retain their independence, to let them feel they are useful rather than a burden to society. All are encouraged and helped to dress smartly and to take a pride in personal appearance and behaviour. Thanks to the efforts of the visiting occupational therapist, knitting, sewing, basketry and reading have gradually become enjoyable pastimes. It is common to find more able patients helping the less able in the wards, and doing odd jobs in and around the . hospital. Margaret Cummins, who has a snug little corner in one of the small wards downstairs, gives a hand with the dinner wash-up. Her friend, old Mrs. O'Neill, passes round morning tea. Mary Flynn sees to the flowers on the bedside lockers. Cheerful Pat Flaherty, thrilled to be up and about after weeks of acute rheumatism, helps nurse with the meal trolley. For those who are well enough to get to the Dining-Room on the ground floor, meals are happy gatherings when men and women mix freely and, as far as circumstances permit, enjoy menus suited to their tastes. The relaxed and friendly approach of the staff to the patients evokes a natural response from the latter who seem, by and large, content and happy people appreciative of what is being done for them. Don Riordan, one of the oldest inmates, remarked in between puffs of a welcome cigarette: "It's a very different place from what it was when I came here eight years ago. The Sisters have worked wonders. They're doing super work, God bless them". But the Marist Sisters continue to work in extremely difficult conditions, much that is essential in terms of space and modern equipment has still to come. Space is required to improve living conditions for the nursing and domestic staff. Many of latter live in their own homes. So do some of the lay nurses. But getting to and from the District Hospital can be a problem, especially in severe weather. Consequently, staff difficulties are quite common. The Marist Sisters live in a cottage on the hospital grounds. When the Workhouse, adjacent yet separate from the Fever Hospital, was closed in 1922 the building remained derelict for some time. Round about 1935, Leitrim County Council had it demolished and replaced by thirty-six cottages. These small compact dwellings are numbered one to thirty-six. Numbers two and three, touching on the District Hospital grounds, were run into one and served for some time as nurses' quarters. Marist Sisters lived there in 1972. The unpretentious two-storey cottage has a small sitting-room, a kitchen, two bedrooms and a bathroom. All are well furnished and cosy. There is a tiny garden front and back, but there is no oratory. On Saturdays the Sisters hear Mass in the District Hospital. The rest of the week they have Mass in the Convent of Mercy, a comfortable walk from their cottage. The District Hospital that was condemned by the Department of Health, Dublin, in 1966 has re-established itself in the eyes of that authority. It has also come to be looked upon as indispensable by the people of the Mohill district, who appreciate the splendid work that is being done. Dr. Daly, Bishop of Ardagh and Clonmacnois, takes a keen interest in the hospital and visits the inmates whenever he is near.